Sen. John McCain is returning home to Arizona after being hospitalized for side effects because of his chemotherapy sessions and will miss the Republican's tax bill vote this week, according to a report. 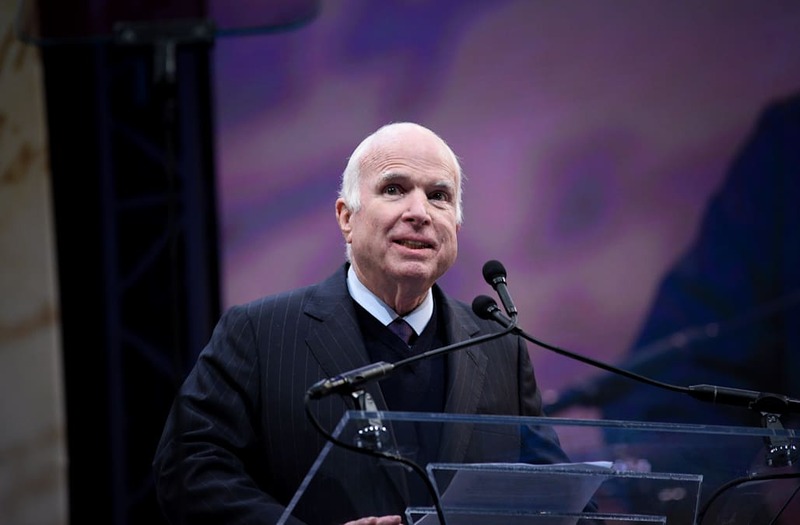 The Republican senator from Arizona, who was admitted to the Walter Reed Medical Center on Wednesday, was returning home from Washington, D.C., on Sunday, CBS News reported. McCain will not attend the GOP's tax bill vote which is expected to take place sometime early this week. The bill has the support of Republican Sens. Bob Corker and Marco Rubio after they had originally opposed the Senate's plan. "Thank you to everyone for their kind words. My father is doing well and we are all looking forward to spending Christmas together in Arizona," the senator's daughter, Meghan McCain, tweeted Sunday.